Family photos aren’t just a customary tradition during the holiday season when everyone comes together, but it is a celebration of the love and bonding shared between the different members. 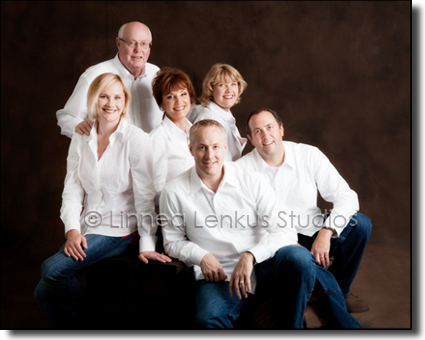 Moreover, capturing a whole family in a single portrait promises loads of fun and entertainment. These types of photos have become a rage in recent times. One of the reasons is that people are so busy and lead a hectic lifestyle, so it is difficult to get all family members at one place for every occasion. That is why family photos are insisted upon when everyone does get together to celebrate the holidays or a wedding. Every member is given a copy and they can cherish the memory by looking at the picture whenever they wish to. There are quirky incidents at most times, such as an elderly uncle dozing off, a child running about, or someone sticking out their tongue. Capturing the expressions and funny faces is what make the snap all the more special. It is advisable to hire a professional for this purpose rather than doing it by yourself. Photography goes beyond technical details like types of lens, shutter speed, light angles, etc. apart from having the ability to recognize the potential of a good photo and turn it into a great one. These days such clicks can be taken anytime and anywhere, as all you need is a camera or a tablet/smartphone with a built-in camera. Photographers are experienced in different techniques, know how to utilize the lighting and various angles for their benefit, and well-versed in selecting suitable backdrops. They also know how to soothe the ambience before the session and boost the confidence of camera-shy individuals. If you are looking for hiring someone who is a PRO in Family Photography in Los Angeles then you are a lucky one to have Linnea for this purpose. Linnea Lenkus is one of the most stellar photographers when it comes to family photography – she has gleaned knowledge and expertise over the years, which has been used to perfectly hone her skills and talent. When Linnea is behind the camera, your portrait becomes extraordinary with her enigmatic touch. Every look, every touch, every pose is alluring and captivates your attention when you get the photos in hand. She uses the best equipment and technology for her photos, including the “window lighting” method. She is based in Los Angeles, and has two portrait studios, one in Long Beach and the other in Pasadena. Please book an appointment beforehand so you can settle on a date and proceed accordingly.